These are the two Bibles that the Lord has led me to. I study them hard. I’ve compared them to each other, and to other versions. Thanks to God my English and Spanish has greatly improved by reading from both of them. I personally believe the KJV is slightly sharper than the RVA, but in no regards do I go about putting down the Spanish version of the Bible as inferior. Beware of extremist who go as far as to say the RVA is not the counterpart of the KJV, that we must all rely solely on the KJV. This is nonsense! 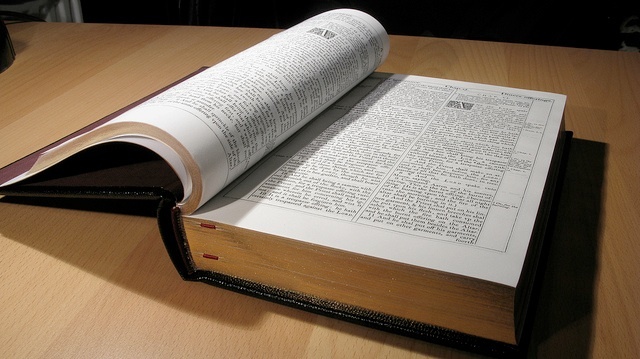 Comparing word for word, you will find a slight deference here and there, but consider that these Bibles were translated at slightly different times by two different groups of people, yet both have come to an excellent, almost perfect agreement. Examine below such a difference and determine whether or not it is a make or break deal as some believe it to be. Seeing this phrase is also found throughout the rest of the Bible referring to “the heavens and the earth”, I’ve come to accept that whether it reads heaven, or heaven(s) it is not a make or break deal for me. It should read /debiera de leer “mi nombre” (my name). Instead is reads/embez lee “ni nombre” (no name). Annoying as you can imagine, perhaps an oversight. Not sure why no one has been able to correct it? It would be a shame if nobody fixes it, or worse, they use it as an excuse to push other newer versions. Where are the good Samaritans? But this is a common human error aka misprint and not intentional doctrinal errors. Again, praise God that we have a solid and trustworthy Bible in two of the most commonly used languages on earth, English and Spanish. We have the King and Queen of Bibles readily available taking care of most of the world if not the entire world. To my understanding the King James version is being carefully translated into other languages. One such completed project is the Korean Bible. Thanks and praise be to God for providing his true and trustworthy Word throughout all generations, now and forever. Is The Reina-Valera Gomez is worth considering over of the RV1909 & 60? I just received some news, useful knowledge concerning the Reina-Valera Bibles. Trusting in the KJV, I abandoned the modern RV60 many years ago and have been using the RV1909 (RVA) which is indeed an excellent, much purer translation than the RV60. But according to this study comparing the new RV-GOMEZ, even the RV1909 might seem to have a few doctrinal errors that show a bit of Catholic influence. Oh no! Another version??? I know! I’m a little disappointed in all the mess that the Roman Catholic church has caused as you can imagine. I have not read the Gomez Bible yet. Only reading the reviews just now. Is the RV-Gomez the corrected update I’ve been hoping for that fixes that typo in 2 Chron 7:14? The goal of the RV-Gomez is to line it up to the King James and the Textus Receptus perfectly. One report does show some doctrinal errors, another report kinda mistakenly bashes some archaic spanish words from the RVA-1909 and calls them doctrinal errors which I did not appreciate. Feel free to examine for yourself the comparison below. It’s still to soon for me to devalue and dump my trusty RV-1909. I’ve learned so much classic spanish by using it considering it’s over 105 years old. Please don’t be too quick to incorrectly judge archaic words such as “salud” which also means salvación. Y “Mujer” which also means “esposa”. These words are not the doctrinal errors they accuse them to be. But lets show some grace. The RV-1909 ran strong for many years and I’m sure many got saved and are still saved today using the RV-1909. On that note. Lets all be a little more watchful while at the same time a little more graceful. Just three years ago I was using the RV-1960. Does that mean I was damned back then? No. Less informed perhaps. The Spirit was doing a work in me back then as I was still learning, and He has always lead me into the truth and in faith. 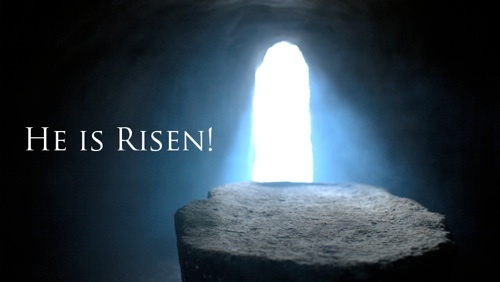 I was saved that moment I decided to follow Jesus with all my heart. “Salud” found in Hebrews 5:9 also means “Salvation”, redemption. Salud is not an error, simply archaic, 105 year old spanish. “Mujer” used in Ephesians 5:31 also means “wife”. Mujer is not an error. 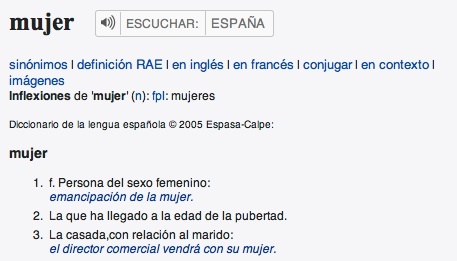 Mujer is still used today to describe a man’s wife. RV-GOMEZ Vs. RV60 & RV1909. 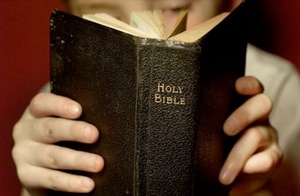 You gotta love the Word of God, searching it, learning it and memorizing it, and protecting it from counterfeits. We live by every word of God and every word is pure. We do our best to shine our light that comes from God, exposing corruption as it runs blatant these days in all walks of life, but a reminder to all critics, that some go beyond being helpful, and seem more destructive as they simply bash, forgetting that we are all in different stages of learning. They teach but without love and patience. Please be reminded that we are to be loving disciples of Christ, and not cruel pharisees especially to the flock. We do expose phony preachers, and corrupt Bibles, but no condemnation of anyone is inferred here for using a different version, but that all would learn the truth and come to a humble repentance. The Word of God warns all of us what happens to those who reject the truth and decide to live in error. I used to read from the NASB, and the NKJV, but thanks be to the Lord for leading me to take a closer look at the Bible. Through deep study and learning I’ve narrowed it down to my two trustworthy Bibles, one in English, and one in Spanish. No need to fill my head with a different set of words, altered words, misleading words, even missing words. The Modern King James or MKJV is an altered and corrupt version as well.  Not to be trusted as God’s true word, but a corrupt knock-off filled with DOCTRINAL ERRORS. Thanks and praise be to God for being so good to us. Jesus is my Master, and what a great Master/teacher he has been to me with patience, mercy, love and truth.